Phone, SMS, Email, Web, Mobile, Social – it doesn’t matter. 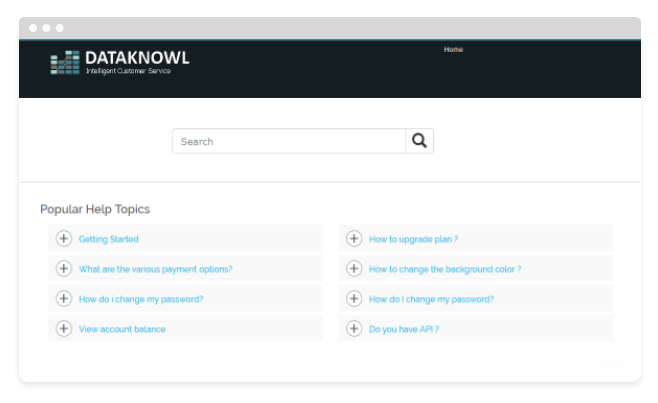 Whatever channel your user prefers, with DataKnowl Contact, you can manage them. Answer a phone call, reply to a ticket, manage a live chat, or reply to an SMS. Do it from Contact with ease. CRM and Big Data Analytics included to collect data, to better understand your customers needs. Unified Communication features to collaborate and resolve customers' issues quickly. From SMB to complex enterprise contact centers needs, DataKnowl Contact can help. Easy to use and manage, thanks to its reliable cloud platform, DataKnow is based on highest industry standard for security. Infrastructure as a service. 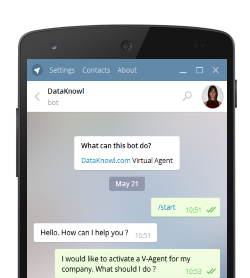 DataKnowl offers phone numbers for more than 60 countries, including toll-free, local and national numbers, for both voice and SMS purpose. Doesn't matter what software you already have. Thanks a powerful API, you can integrate it. 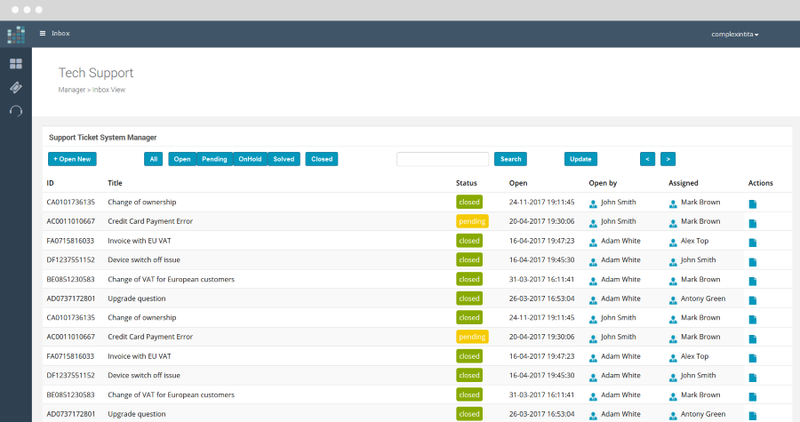 Have a look at Integrations to know which software already works with DataKnowl Contact. V-Voice is the evolution of IVR, a conversational agent for the voice channel that can help your human agents and provide your customers with a five-stars self-service. An intelligent, conversational, AI-powered, omnichannel solution for the automation of next generation Customer Service, V-Agents are chatbots always available 24 hours a day, 7 days a week on web, mobile and messaging platforms, ensuring that your customers are always assisted. Thanks to Artificial Intelligence and NLP, V-Voice and V-Agent are able to understand the users' intentions, generate goals and manage complex actions and conversation to achieve the fulfillments. They can process a large number of users requests simultaneously. Each user can communicate and interact with his personal virtual assistant, who is always available and ready to provide the answers he needs. Integrate V-Voice and V-Agents with your backend, software and data, with ease. 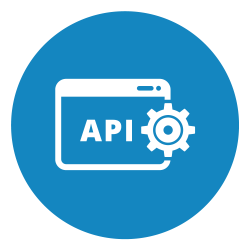 They can be seamlessly integrated in your platform and services, thanks to our API. Third-party platforms integrations are also available. Provide your users and customers with the answers they need. Always and everywhere. Build powerful intelligent Customer Service applications on top of DataKnowl Cloud Services. Integrate them in your products now. It is easy and fast. It doesn't matter what software you already have. You can integrate it easily, thanks to a powerful API. Have a look at Integrations to know which software already works with DataKnowl Contact. Let us manage your DataKnowl services so you can stay focused on your business. With Managed Services a team of experts can handle the design, contents, configurations, optimizations, integrations and more. Connect and integrate DataKnowl with your applications, platforms or services. Enhance your portfolio, provide added value services. We are looking out for partners from around the world. Together is better!